Catavina is a located in the middle of the barren remote Baja Peninsula. Gasoline is serviced out of a drum at prices nearly twice the normal cost. The only reputable place to stay is the Mision hotel owned by the Los Pinos hotel group who operate out of San Quintin, Baja California. Surrounded by miles and miles of stunning rock formations, Catavina is one of the first stops an adventurer will see rocks of this nature along Mexico’s Trans Peninsular highway. Catavina is a must see for rock hounds and adventures from all walks of the exploration world. 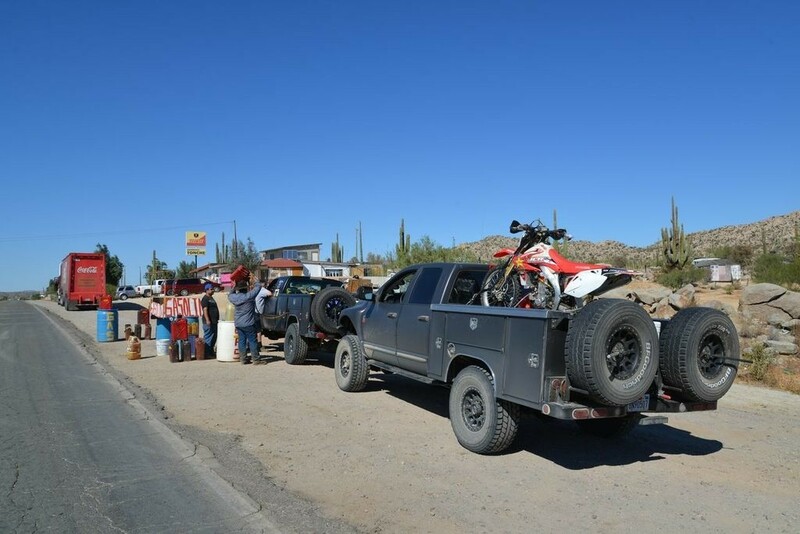 The town of Cataviña is barely a wide spot on the Baja Highway 1, but its importance to Baja travelers far exceeds its size. This spot is wide enough for the only real motel, and the only reliable source of gasoline, for more than a hundred miles, north or south. Unless you happen to be a cactus, a lizard, a rattlesnake, or perhaps a boojum or an elephant tree, that’s a most inhospitable hundred miles. And, unless you are carrying extra fuel (not a bad idea), a stop in Cataviña is all but mandatory. There are other reasons to visit Cataviña. It is surrounded by some fascinating country, the Desierto Central de Baja California, Baja’s unique Central Desert. Much of the desert is under legal protection, to preserve its biological treasures. Hundreds of species of cactus live here; many of them found nowhere else. The desert is also home to many endemic non-cactus species, including two almost identical looking but unrelated versions of the elephant tree, and the cirio, or boojum, Baja’s signature contribution to the world of unusual flora. The boojum looks like nothing else. It is often described as a giant carrot growing upside down, with its root sticking up to fifty feet in the air. It has a trunk and leaves, but no branches until it’s at least a hundred years old, when the trunk divides into two or more whip-like tops. A fifty-year-old specimen might be a foot thick at its base, and less than five feet tall. It’s one of the slowest growing plants in the world, at the rate of a foot every ten years, which means a mature fifty-footer may be more than 500 years old. The Cataviña Boulder Field contributes to this strange landscape. Its hills and valleys of smooth, rounded rocks, ranging in size from marbles to boulders the size of buildings, might be mistaken for glacial deposits. In fact, the rocks were shaped by the wind, blowing like airborne sandpaper across the desert for millions of years. Soil is scarce here, and weird vegetation often appears to be growing right out of the rocks.